On July 24 and 25, 2017, I will teach a class at Sitka Center for Art & Ecology in Otis, Oregon. 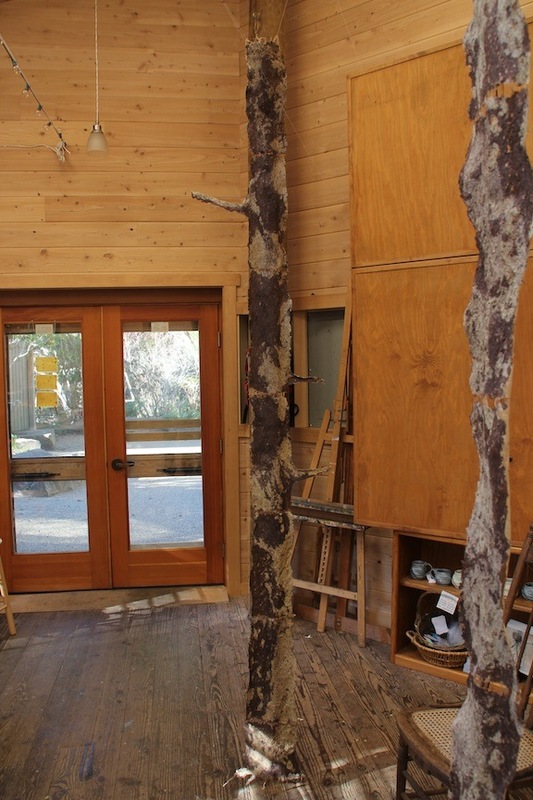 Sitka is located on the beautiful central coast of Oregon, and the studios are terrific. This will be the 3rd summer I have taught at the Sitka Center. My class this year is July 24 and 25, and it will be two full days of intense papermaking and mixed media art using the Sitka Spruce trees growing there as inspiration and materials. I was so impressed with this wonderful material for papermaking, and it makes a rich dark brown paper. We will make handmade paper from Sitka Spruce bark and also use the cones, needles and branches along with other materials for 2-D and 3-D mixed media artworks. Come join us for the class. 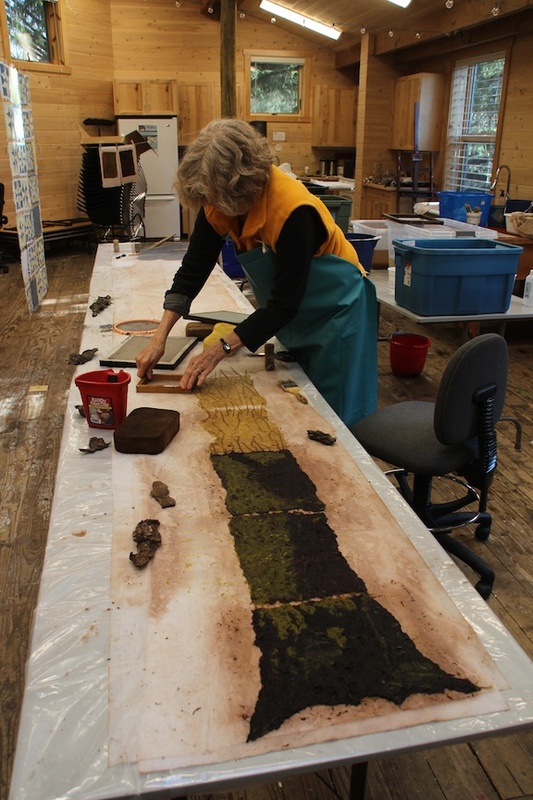 Here are 2 photos of me working at Sitka Center in 2013-14 when I was an artist in residence there creating handmade paper art from Sitka Spruce tree bark and other local plant materials. I created an installation of 7 “trees” using Sitka Space bark paper and dried on the bark of Sitka Spruce trees.